Everyone has a different take on Jesus. Muslims and Jews saw him as a prophet; Buddhists say he was enlightened; Hindus consider him an avatar (the incarnation of a deity in human form) while Christians hail him as the Son of God. 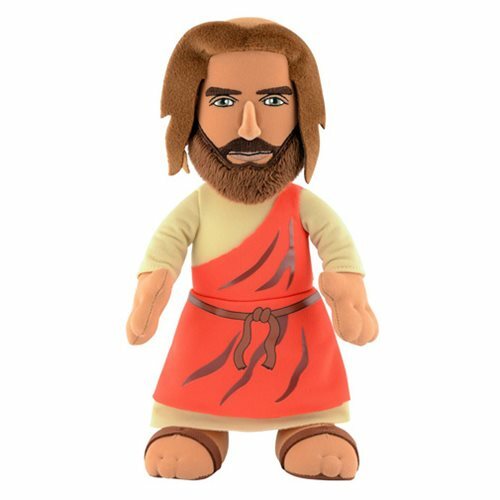 But, wherever your theological compass points, you have to have this Jesus 10-Inch Plush Figure! Great for display, play, or cuddle time. Measures approximately 10-inches tall. Ages 13 and up.